Cascadia, like its borders, has an imprecise history. The idea of an autonomous state along the Pacific coast dates back hundreds of years to when the area was first being explored. It was originally envisioned by Thomas Jefferson after he sent Lewis and Clark into the Pacific Northwest in 1803. When Lewis and Clark first arrived, they found a densely populated and diverse region. 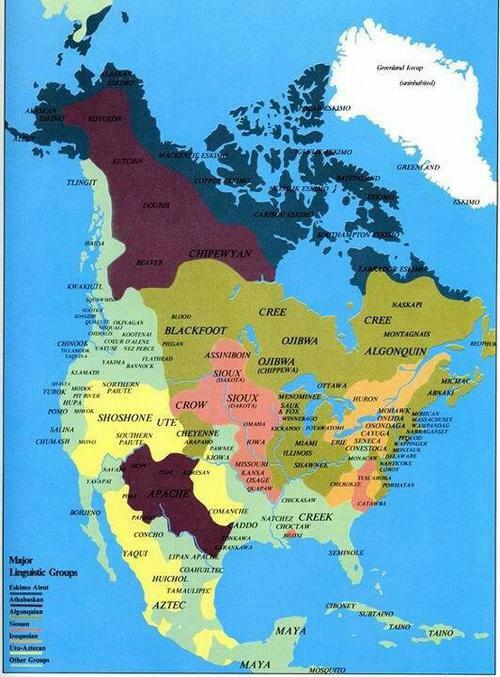 Before 1800, it is estimated that more than 500,000 people lived within the region in dozens of tribes such as the Chinook, Haida, Nootka and Tlingit. It was during these early years of exploration that the root of term Cascadia first came into being. It is credited to Scottish naturalist David Douglas, after whom the Doug Fir was named, and who explored the region in depth throughout the 1820’s. While he was searching for plants near the mouth of the Columbia gorge in 1825 he was struck by the areas ‘cascading waterfalls’. As he writes in his journals he talks in depth about the mountains by these ‘great cascades’ or later, just simply the Cascades, the first written reference to the mountain range that would later bear this name. Surrounding these mountains lived a hardy and independent people. Even before the area was unified as the Oregon Territory, the idea of an autonomous state was embraced by those who had recently moved to the region. John McLoughlin, the chief factor of the Columbia District, administered from Fort Vancouver and which included Oregon, Washington and large swaths of British Columbia, was involved with the debate over the future of the Oregon Country. As a member of the Oregon Lyceum, a forum and literary club for influential pioneers, and the first organization to publish a newspaper west of the Rockies, he was engaged at the forefront of a political debate to decide wether or not to form an independent government. At the time neither the United States nor Great Britain could claim the Oregon Country under the terms of the Treaty of 1818 signed at the conclusion of the War of 1812. During these debates in Oregon City the European settlers argued about whether an independent country or a provisional government should be formed. Beginning in the fall and winter of 1840-1841 before British claims north of the Columbia River were ceded to the U.S.A. by the Oregon Treaty of 1846; Chief Factor John McLoughlin advocated for an independent nation. Those lyceum members advocating an independent country were mainly British, including Dr. McLoughlin and his HBC employees, although many former fur trappers, predominately French Canadian, Roman Catholics, and the region’s Jesuit missionaries sided with McLoughlin on this issue. His view won support at first and a resolution was adopted, but was later moved away from in favor of a resolution by George Abernethy of the Methodist Mission to delay the formation an independent government to see if the United States would extend its jurisdiction. In the article, the author argues that the general prevailing sentiment of the US populace was the country was large enough, noting that “The feeling is now very prevalent that we have territory enough. It is in every one’s mouth, ‘We have territory enough, why do we want more?” and it would be hard indeed to persuade the people to relish a war for a tract of land most of them do not want, and many of them would be unwilling to have attached to the United States. 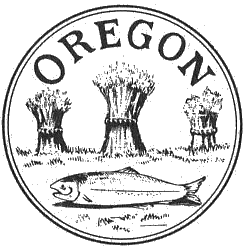 With the merchants, and the people against it, shall we have war for Oregon? Will the Executive, will the Congress plunge the nation in carnage and blood against the people’s will, for a tract of country the nation cares but little for? 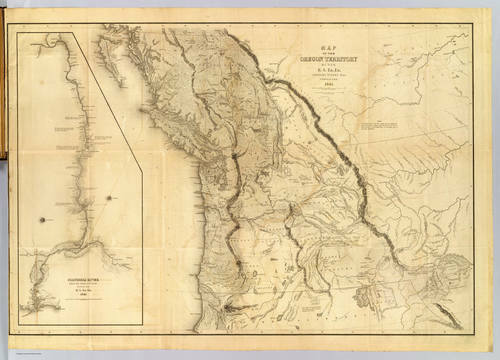 Military Commander Charles Wilkes, leader of a 1841 expedition to map the Pacific Northwest was the first to fully document what later became known as the Cascadia bioregion. His map, published in 1845 fully documents the interconnectedness of the then Oregon Territories. The illustration cuts off in the north due to Imperial Russian control, and in the south due to Imperial Spanish control. For this movement to gain traction, especially in British Columbia, much more attention and sensitivity needs to be afforded the violent, colonial history of the region. I love the idea of decentering power but am not interested in this movement it does not centrally involve Indigenous peoples and reframing the bioregional project as a decolonizing project. Thank you so much for your input. We absolutely agree. We’ve got a working group working on one initial project http://www.cascadianow.org/indigenous-history-and-renaming-project/ | but outside of that we would love if you had recommendations for a better focus on ‘decolonizing Cascadia’. Most importantly about decolonization I think, is creating a space where tribes are able to identify their own needs, and in which we can provide support and solidarity where it is needed, and to really help raise awareness and attention to create a shift to decolonize from arbitrary political structures built on hundreds of years of genocide and imperialism, to a more bioregional and watershed approach that values the voices of every person, and gives voices to every disenfranchised community that traditionally do not have those voices. Down here in the south Salish Sea, we’ve partnered up for a few very cool things, including the Na-Saa-Mawt Alliance in 2012/2013, and by also taking part in the ShellNO protests last year, where tribal canoes were brought from Salish tribes, and with participants from as far away as Alaska natives, and in our mind the Duwamish tribe (from where Seattle got it’s name – but of which is not federally recognized and whose ancestral land is a super fund site) is a perfect example of where we can start. BUT – we can and must be doing a better job, and would be very open to any recommendations you have. We are very serious that Cascadia is YOUR movement, and we are here to support those efforts, through raising awareness or through fiscally sponsoring activities and lending support through services, fundraising or awareness. We have a part time staff working very part time hours, all to try and create an open source structure and movement so that every person can have the tools and be empowered to take action about what they care about. Any ideas you have, let us know! I must say, I feel at a large degree lost. I was unaware of the existence of the Republic of Cascadia. The idea of an independent republic, still existing within a demographic area, that includes lands of the USA & Canada is just fascinating. Next, I’m astounded this is the first I’m learning of it’s history. Why was it’s existence keep so unknown? Why as a child, was I not taught, about this land and it’s people?